Happy Monday, guys! Sorry the blog posts have been a little bit sparse lately. Season changes are a little bit tricky for me, so I'm just trying to get myself readjusted and back into a groove! Anyone else have that issue? For my Mani Monday this week, I'm again collaborating with Jayne from Cosmetic Proof and Renee from See The World In Pink. 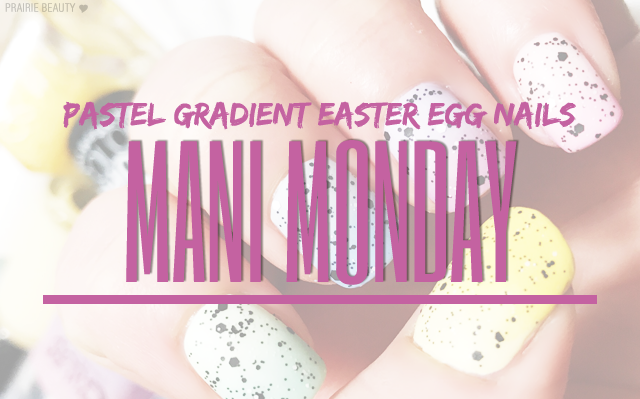 Our theme this week is Easter nails and I decided to jump off from the idea of Cadbury Mini Eggs. 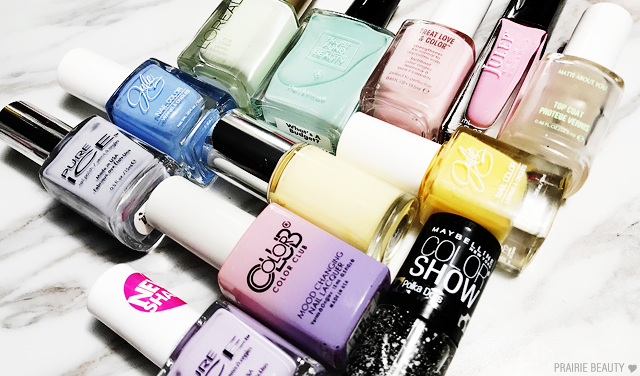 For a closer look at my mani and to see the ridiculous number of polishes I used to achieve it, keep reading! Initially, I tried doing this mani only using a single polish on each finger, but ultimately I just found it wasn't as impactful as a lot of the mani's that I tend to do, so I shifted gears and decided to do a kind of ombré gradient. 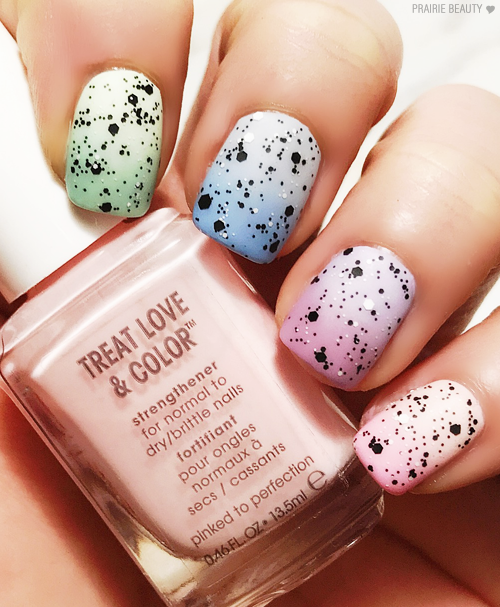 Each nail starts with a very milky pastel at the base and transitions into a slightly deeper pastel at the tips. I wanted to keep it quite subtle and soft and I really like the way that this gradient turned out. Overall, I'm really happy with this mani. It's fairly simple, really, and I think the gradient really turned out well with a nice, smooth blend. I'm actually not generally a huge fan of matte top coat, because it tends to chip easily on me and you have to make sure that you have a really smooth base because texture really shows up, but I feel like the OPI Plumping Top Coat that I applied before the glitter and matte top coat added some heft and really smoothed everything out. I have a feeling you guys are going to see more gradients to come as we get into spring and summer - I really love a gradient in the warmer months for some reason! 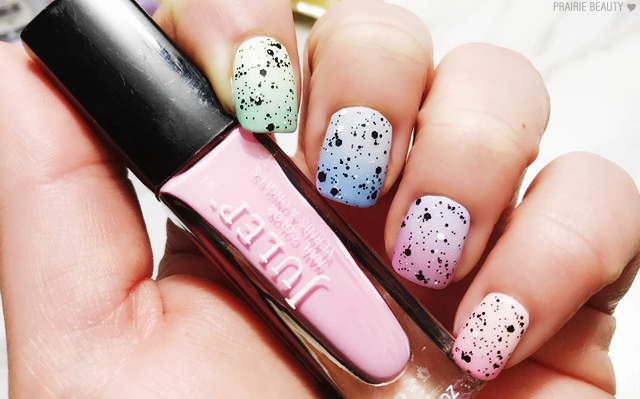 Thanks for reading and don't forget to check out the Easter themed mani's from Cosmetic Proof & See The World In Pink!